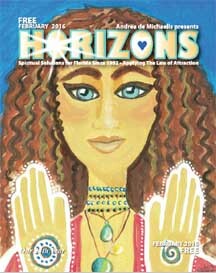 The February Horizons is now online at http://horizonsmagazine.com/mags_online/2-16-Issue.pdf. The February horoscopes are below. In December 2015, our beloved friend and astrologer of 19 years, Barbara Lee passed away. As of the February 2016 issue, we are honored to have nationally known Maya White doing the monthly horoscopes. 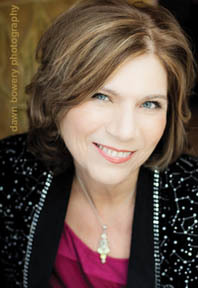 Maya White is a Master Destination Astrologer and one of only 90 people in the world certified in Astro*Carto*Graphy, a specialized branch of astrology which helps people find their perfect place on earth for love, prosperity, and personal growth. 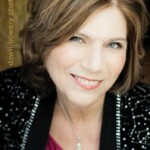 She’s also the creator of Easy Astrology Oracle Cards published by Hay House. Aries – (March 19 – April 18) Success comes when you think outside the box, Aries. Dare to dream, but then apply critical thinking to your vision. Also moderate the tone and tenor of your actions. With Mars traveling through rowdy Scorpio, you’ll be misunderstood if you come on too strong. Prepare for your date with destiny. Taurus – (April 19 – May 19) What is your dream for a perfect life, Taurus? The planets are lined up in support of your creation. The challenge is that you must decide whether you want to be free, or to dig in deeper. Love is the answer, and it shows you the way to have everything you have ever really wanted. Step through the open door. Gemini – (May 20 – June 19) Your thoughts and words are so powerful, Gemini; especially now, as Saturn and Neptune do a number on your relationships and your identity. Avoid confusion by getting your priorities straight. Perpetual motion is your natural state, but the stars now offer a safe haven. Play your cards right and have it all. Cancer – (June 20 – July 21) Dare to be bold, Cancer. This is your month to be audacious; to go places you’ve never gone before and do things in a way you’ve only imagined. Your intuition is always strong, but now, your logical mind is also showing the way to manifest a real and multicolored vision. Believe in what you’re thinking. Leo – (July 22 – August 21) Jackpots are not always won, Leo, they’re created through effort and planning. You make it look easy, but I know that you’ve been working behind the scenes a long time tending your financial garden. It’s a matter of weeding out the partners that bear no fruit. Your persistence pays off in a bountiful harvest. Virgo – (August 22 – September 21) Less is more this time around, Virgo. Your prescription for February is: less stress, fewer deadlines, and more fun. Take advantage of Venus cavorting in your 5th house of joy until the 16th. The Virgo Full Moon of February 22nd comes with an important decision – let go with grace and gratitude. Libra – (September 22 – October 21) It’s time to get back to the foundation of your inner self – the artistic director of a good life. Reclaim your love of music, revitalize your life with beautiful plants and flowers, and recolor your home by filling it with cherished friends and family members. The angels are holding a safe space for you now. Scorpio – (October 22 – November 20) Focus is your laser tool to fast forward success on any project. Avoid overwhelm by planning your work and be sure to schedule in time for play. Mars in Scorpio is good for you provided you connect with your higher purpose. Juno, the goddess of love is with you also. Are you ready for commitment? Sagittarius – (November 21– December 20) You must be heard, Sag – it’s time to speak your mind and share your truth. Your inner longings have been overlooked, and now Saturn adds a tone of seriousness to the mix. Trust me; Saturn can be a force for benefit if addressed wisely. Your secret to success is honoring the legitimate concerns of others. Capricorn – (December 21 – January 19) Everybody’s probably asking about when your book is going to be ready. Stubborn resistance only gets you so far, and not in the direction you want to go. The world is hungry for your wisdom, knowledge, and expertise, Capricorn. This is a month to manifest your boldest dream; get busy! Aquarius – (January 20 – February 17) Being a fixed air sign, you are one who holds fast to your truth, and you know what you know. But, the Virgo Full Moon on February 22nd invites you into the rabbit hole of considering a second opinion. Something is overlooked, and the situation has, or will, change. Listen to good advice this time around. Pisces – (February 18 – March 18) Connect deeply and love with all your heart, Pisces. You are uniquely protected in that: the more you give, the more you have. Just remember that your vessel must first be filled through love of self, which includes extreme self-care. Bountiful blessings are coming your way, be present so that you can receive them. NOTE: Cusp dates are accurate for 2016. Sometimes the actual date the sun enters the sign varies by a day or so because of a leap year, or, even the time of day. I assure you these cusp dates are correct for 2016. This entry was posted in Uncategorized on January 29, 2016 by Andrea.